If you’re an Apple user and you still haven’t updated your iOS and iTunes, you better get to it fast as you’re missing the hottest new phenomenon in the social media universe: Ping. Currently available in 23 countries around the world, Ping is Apple’s first foray in to the social network market and they’ve very smartly kept it music based for exclusivity and making use of the already existing 160 million Apple user base. 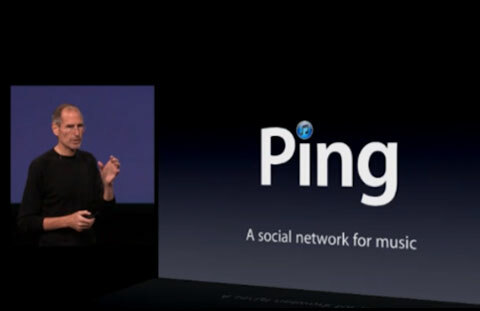 Steve Jobs described Ping as ‘Facebook meets Twitter for music’ at the press event yesterday. It’s available within the new iTunes version which has a new logo and lots of new features. Ping is also available on the new iOS 4.1 via the updated iTunes app on your iPhone and iPod Touch. First of all, to use Ping at all you have to opt-in to it. Once you do that, you’re taken to a Privacy Settings page where Apple asks you how you’d like to use the service. This is where you decide if you want to use the friend model, the follow model, or the lurk model. It allows users to follow others, just like Twitter. You can follow artists or your friends to find out what they’re listening to or what they’re creating. It has custom song and album charts, a news feed and 17,000+ concert listings. It’ll be interesting to see how Ping performs in the coming days against the already existing social media giants. It has a safe user base but it’s not guaranteed that every single one of them will opt-in to Ping. It’s a wait and watch situation and all eyes will be on Apple for a while now to monitor the growth of their newest baby.